Not impressed with quality of video during video chatting session on Facebook? 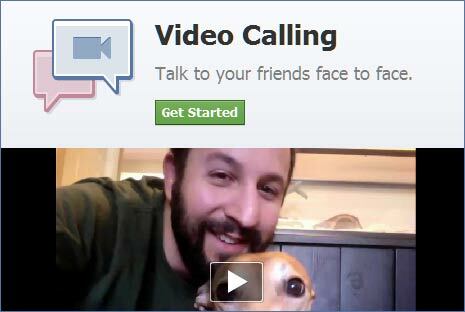 Facebook uses Skype back-end for its new Facebook Video Calling service. Hence, quality of video calls should be good enough just like on Skype. However, if you are not getting crisp video or it is getting stuck or breaking in pixels during video chatting – you may check either of following to improve on the quality of video during video call session with Facebook friends. Following are few basic tips to improve your video chatting experience while using all new Facebook Video Calling service powered by Skype. 1. Latest software – Make sure you are using latest version of either web browser including: Google Chrome, Firefox, Safari or Internet Explorer on your Windows or MAC system. 2. Hardware quality – If either of the video chatting party is using low quality webcam, the video reception will be bad. Make sure you and your chatting friend is using quality webcam for better video during chatting session. Check listing of Skype recommended webcams for best video experience in online video calling session. 3. Free Internet bandwidth – During video calling, if applications or files are downloading in the background – pause file downloading for sometime. This will free up bandwidth and result in even better quality of video calls. You may also upgrade to higher speed internet connection for high quality video calling. 4. Adequate light – Poor light in the room will display grainy and dark-ish video. Turn ON light or move curtains for natural light to come into the room. Better light will bring more natural and vibrant video display during video calling. 5. Power saving mode – When using laptop or portable device that is not connected to power outlet, switch to power saving mode. Less screen brightness can also cause bad video display. Hence, modify screen brightness to get best video during Facebook video calling.